The military has attempted a coup in Turkey to oust President Erdogan while he was on vacation outside of the country. However, it is unclear right now if the coup has been pulled off or not. Erdogan has returned to Turkey and is at the Istanbul airport according to reports. Other reports claim he is seeking asylum in Germany or on his way to London. Erdogan did appear at the Istanbul airport but has not been seen in the capital of Ankara. 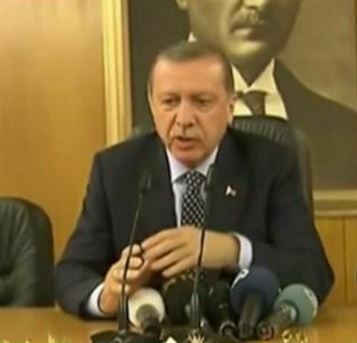 Erdogan called for supporters to take to the streets against the attempted military coup. This is a breaking story and facts are as yet unclear. The MSM is simply reporting any drama for their own ratings without checking facts! Did you expect anything different from them?? ?